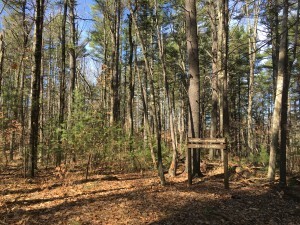 This property abuts the Groton Conservation Trust Fitch Woods Property, which abuts the Groton Conservation Commission McClain’s Woods property. Mahoney Lane, a former road and current major trail runs though these properties with associated loop trails. Mahoney Lane is off of Chicopee Row, parking available. 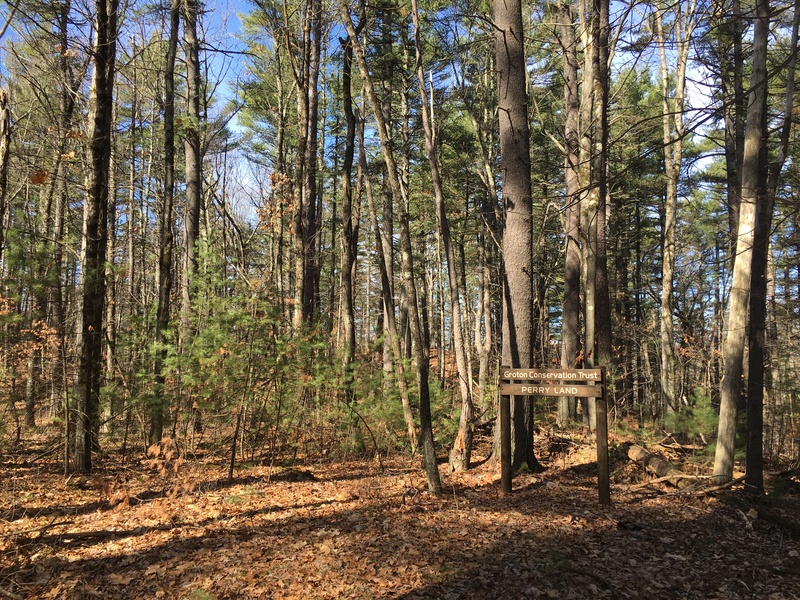 While snowshoeing on trails near Williams Barn a year ago, Richard Perry began thinking about how much he enjoys using the town’s many wonderful conservation lands. That sort of rural relaxation is one of the things this former city dweller most cherishes about life in Groton. Perry decided on this particular parcel because it sits at a higher elevation than the rest of his property. Sprint had previously contacted him about installing a cell tower there, an offer that Perry refused. This entry was posted in Explore by Groton Conservation Trust. Bookmark the permalink.